Told in Kvothe’s own voice, this is the tale of the magically gifted young man who grows to be the most notorious wizard his world has ever seen.The intimate narrative of his childhood in a troupe of traveling players, his years spent as a near-feral orphan in a crime-ridden city, his daringly brazen yet successful bid to enter a legendary school of magic, and his life as a fugitive after the murder of a king form a gripping coming-of-age story unrivaled in recent literature. A high-action story written with a poet’s hand, The Name of the Wind is a masterpiece that will transport readers into the body and mind of a wizard. This is the one, it’s it it’s it it’s it! Heavily imbued with natural imagery, magic that is Classical, specific Rothfuss-brand, and no-fuss ref/reverential towards global histories, Patrick has really done it. Some cool context: this one was 15 years in the making, and boiz does it show. Extremely thoughtful and endearing, the cheesiness is a welcome reprieve from the (at times) sad plot. But tragedy or travesty or comic or simply fiction, fear not – worth the emotional roller coaster to the max. 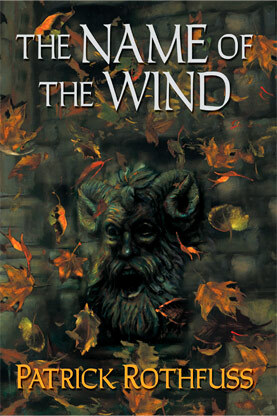 The Name of the Wind remains secretive and elusive, but it’s also accessible as all heck. (As far as a super long, super fantasy fantasy goes). hella dank.